Advertising appearing at the top and bottom of these web pages is determined solely by the web hosting company, Tripod. 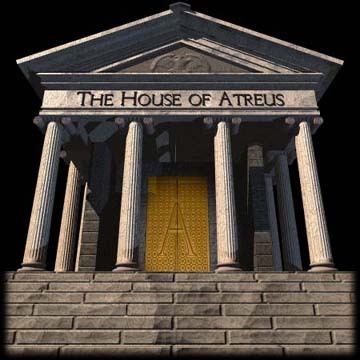 The House of Atreus Website does not necessarily endorse the products or organizations advertised here. "Whenever there is lost the consciousness that every man is an object of concern for us just because he is a man, civilization and morals are shaken, and the advance to fully developed inhumanity is only a matter of time." Questions or comments? E-mail Jim Bohan.